Filing your income taxes doesn’t have to be a costly, headache-producing process. With the right tools and information, you can file your taxes on your own easily—and even save money in the process. This article will walk you through all the basics of filing your taxes, from start to finish. Thinking about filing your taxes on your own? Perhaps you're tired of shelling out hundreds of dollars to your accountant, or you have a hunch that your tax return couldn't be that hard to do to cost that much. You can easily join the 70% of taxpayers who are eligible to file their taxes for free. Don't fret—we're here to help you every step of the way. Sure, just thinking about taxes can make you feel uneasy, especially if you don't know much about the tax code or your finances. Many people don't know which documents they need to prepare, or how to get started. That's why so many taxpayers turn to a tax professional and end up paying hundreds of dollars in unnecessary fees. 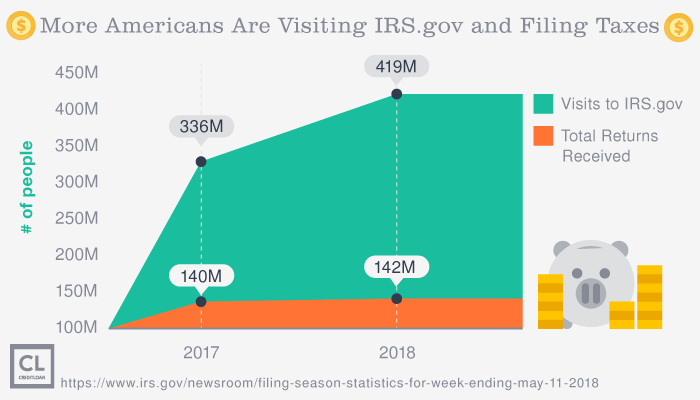 More than half of American tax returns—56%—are filed with the help of a paid tax professional. And 34% of taxpayers use tax preparation software. That adds up to a whopping 90% of taxpayers seeking help of some sort as they prepare their taxes. But unless you have a complicated situation, filing taxes doesn't have to be a costly, headache-inducing process. With the right tools and information, you can file your taxes on your own easily—and save money in the process. We'll walk you through all the basics of filing your taxes, from start to finish. Here's a step-by-step guide to filing your taxes on your own, no accountant necessary. There are several different types of tax return forms, and each serves a different purpose. The first step in filing your taxes on your own is to make sure you are filling out the correct form. The shortest, easiest form. Form 1040EZ is the simplest tax form and the one you'll want to use—if you qualify. To use the 1040EZ, your taxable income must be below $100,000. Your filing must be single or married filing jointly, and you can't claim any dependents. (So if you have kids, this isn't the form to use). Also, your interest income must be $1,500 or less. The only tax break you can claim using the 1040EZ is the Earned Income Tax Credit (more about that later). Have kids and make under $100k? You'll likely qualify to fill out thenext easiest tax form to file on your own, Form 1040A. To use this tax form, your taxable income must be below $100,000, and you have capital gains to report. Using this form, you can claim certain tax credits and adjustments to income due to contributing to an IRA or student loan interest. You can also claim the Earned Income Tax Credit, which provides families earning below a certain amount of money a credit of up to $6,318. The long form. Form 1040 is the standard tax form used to report an individual's income. This is the form you use to claim expenses and tax credits, itemize deductions, and adjust your income. To use this form, your taxable income must be $100,000 or more. You'll use this form if you report self-employment income or income from the sale of a property. You'll need to use this longer form is you are claiming a charitable tax deduction, medical expenses, or business expenses. If you aren't sure which tax form to use, a safe bet is to use Form 1040. The form for non-U.S. citizens. If you aren't a U.S. citizen, but you've earned income in the U.S., you will most likely have to fill out Form 1040NR (U.S. Nonresident Alien Income Tax Return). If you don't have any dependents, you may be able to fill out the shorter version of this form, known as Form 1040NR-EZ. Now that you know which is the right form for you to fill out, there are many ways to access the tax form you need. You can download it from the IRS website, visit your local post office or library to pick up a hard copy of the form, visit your local IRS office, or request for the form to be sent to you in the mail. If you're e-filing (more on that soon), you may not even need a copy of the form—the free computer program will help you fill out the form. Before you begin filing and completing your tax return, you'll need to gather the following documents. Proof of identification. The most popular one is usually a driver's license. Filing status and residency status. Choose from the following filing statuses: single, married filing jointly, married filing separately, head of household, and qualifying widow(er) with dependent child. Different statuses will result in different taxes being owed, so you may want to run the numbers both ways if you qualify for two different filing statuses. Social Security numbers for you, your spouse, and any dependents. A missing or incorrect Social Security number can delay or decrease your tax refund, so be sure you enter them correctly. If you are not a U.S. citizen, you can provide your Individual Taxpayer Identification Number (ITIN) wherever a Social Security number is requested on the form. Dates of birth for you, your spouse, and any dependents.Errors can delay your tax refund, so be sure to input the accurate birth dates. A copy of your past tax return. You may need to reference last year's tax return as you fill out this year's return. Statements of wages earned (e.g., W-2, W-2G, 1099-R). You should receive these forms in the mail from your employers and clients—whoever paid you income. Double check that the forms are all accurate; if not, you'll need to request that the company or client submit an updated/corrected form with the IRS. Statements of interest/dividends from banks, brokerages, etc. You'll need to pay taxes on income earned from your bank accounts and investments, so be sure to have these tax forms handy. Proof of any tax credits, tax deductions, or tax exclusions. If you are claiming a tax deduction for student loan interest paid, for example, you'll need the form from your lender indicating how much interest you paid that year. Your bank account number and routing number (for Direct Deposit). When you provide direct deposit information, you'll get your tax refund much faster than if the IRS has to mail you a paper check. Now that you have all the necessary paperwork, you're ready to get started. You have the choice of filing your taxes on paper and mailing them to the IRS or filing electronically, also known as e-filing. Many people prefer to e-file since it's faster, easier, and more convenient. For years, I e-filed my own returns when I worked entry level or part-time jobs while I went to college. It was simple, straightforward, and I got electronic email confirmations I could save for future reference. 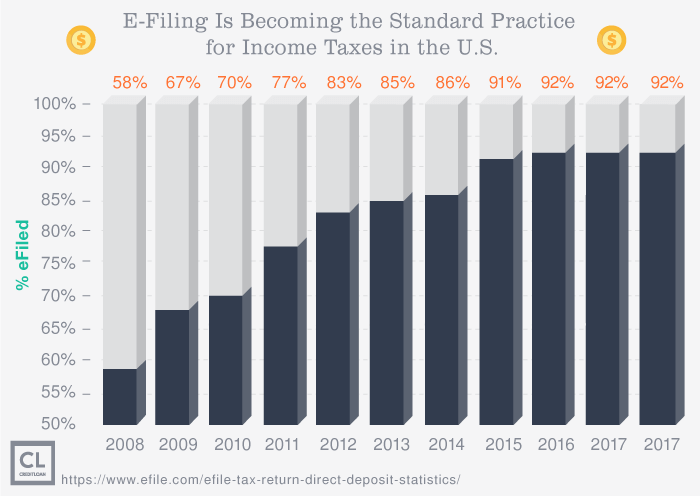 In 2017, 92% of all individual income taxes were filed electronically. 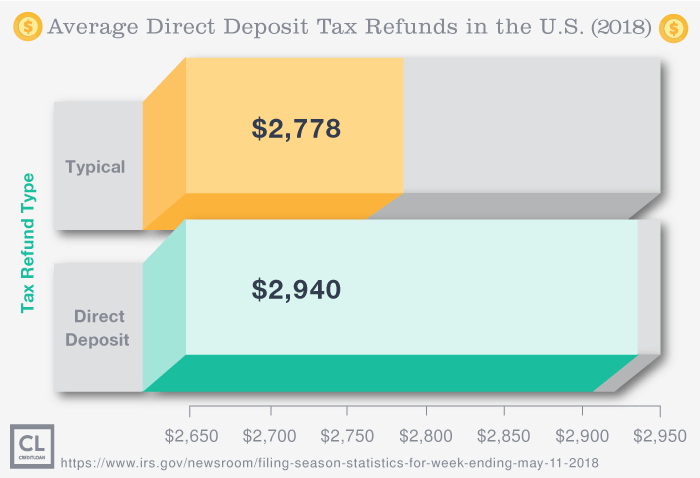 Those who e-file generally receive their tax refund more quickly, too. If you provide your checking or savings account information, you may receive your tax refund in as quickly as seven days. E-filing may also save you money. The software helps ensure you're not missing any important tax credits or deductions and even offers savings tips throughout the filing process. E-filing is also more accurate. According to the IRS, e-filed returns have a 1% error rate, while paper returns have an error rate of 20%. Since the software program checks the information your input into each field and performs the math calculations for you, errors are less likely to occur, compare that to a purely manual paper process. Check out the FreeFile tool. The IRS offers the FreeFile tool, which lets you prepare and e-file your return for free using tax-preparation software. Other options include e-filing using a free tax prep site; the IRS Volunteer Income Tax Assistance (VITA) and the Tax Counseling for the Elderly (TCE) both offer free tax filing services for taxpayers who qualify. You can also use commercial software like FreeTaxUSA or TurboTax, though that will generally incur an added cost, or choose an accountant who is an authorized e-file provider, such as those at H&R Block. Once you e-file this year, next year's taxes will be even easier to file. Not only will you be more proficient and confident, but the software program will generally pre-fill the return with information from the previous year—saving you time and energy. As you fill out the form, you'll enter in your income and follow the directions to see whether you qualify for any deductions or tax credits. Here's a handy guide to demystifying the complex tax jargon you need to know to maximize your tax refund. Tax exemptions save you money. Tax exemptions are items that reduce the amount of your income that is subject to taxes. There used to be personal exemptions, but those have been removed for the 2018 tax year. Other exemptions include state and local income taxes (which have been capped at $10,000 in 2018). Tax deductions reduce your taxable income. Examples may include medical expenses, charitable deductions, interest income from your mortgage, etc. Not all income is taxable. Taxable income includes not only your salary, but also earnings from stock or selling real estate, and winnings from the lottery, horse race betting, or casinos. Income that is not considered taxable includes child support, proceeds from life insurance payouts, and Workers Compensation payments. Know your AGI. Your Adjusted Gross Income (AGI) is your income from all taxable sources minus allowable tax deductions, such as unreimbursed business expenses, medical expenses, alimony, or contributions to a retirement plan. Make sure to input your withholdings. Withholdings are payments that have already been sent to the IRS from your paycheck. You'll need to get this information from your W2 form sent to you by your employer. If you fail to list this on your tax return, you'll end up paying more than you have to. Once you finish completing the tax form, you'll find out whether you're owed a refund. If you are, that means that the amount of income tax you paid was more than you really owed, so the IRS will send you the difference in the form of a refund. Refunds are generally issued within 21 days of electronically filing your tax return, or 42 days of filing paper returns. If, on the other hand, you didn't pay the IRS enough, you'll see how much you owe the government. If you don't pay this amount, you'll be charged interest and the government can even garnish money from your paycheck. So do your best to pay this amount ASAP. The deadline for filing Form 1040 is April 15. If April 15 falls on the weekend, you're in luck—you'll get an extra day or two and the deadline will be the next business day. What to do if you can't file on time. If you're scrambling to file on time and don't think you can make it happen, don't despair. And definitely don't sit back and watch—the IRS will penalize you. The key is to file for an extension. It's easy—just complete Form 4868 on the IRS.gov website to receive a six-month extension. Please note that if you end up actually owing the IRS money, you will still be on the hook to pay interest and applicable fees reckoned from April 15th. There's no extension for paying what the IRS is due. See, filing your taxes isn't as daunting a task as it may seem. By gathering the relevant information and documents, and following the aforementioned basic steps, you can file your tax return easily—and, in most cases, for free or at a very minimal cost. First, determine which tax form you need to complete. Then gather all the documents you need, including W2 and 1099 forms, and tax forms from banking and investment institutions. Decide whether you want to file electronically or by paper. Then, complete the tax form, sign your document, and send it off. Go ahead, and file your own taxes today. Have you ever filed your taxes on your own? Was it easier or harder than you initially thought?